Jenny Johnson lives in Indiana with her parents. She is majoring in creative writing and Drama. She loves the theater, reading and she loves taking trips to the library. Mandy hated getting on the school bus to go to school because the bigger boys always bullied her. 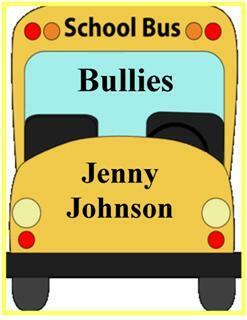 Then she saw Barry, one of the bullies crying in the schoolyard and Mandy went over to see if he was OK. It was then that Mandy learned why he was being a bully and she decided to try and help him be a better person and not bully others. mom let her keep the cat?